Attending conferences has been one of the best investments I’ve made in my career. The value of the event is priceless. The people you meet, the conversations you have, the things you learn… the ROI you get is 100X. As an attendee, it’s the greatest value I’ve ever found—second maybe only to books. As a host, it’s not easy. A priceless event is pricey to put on. 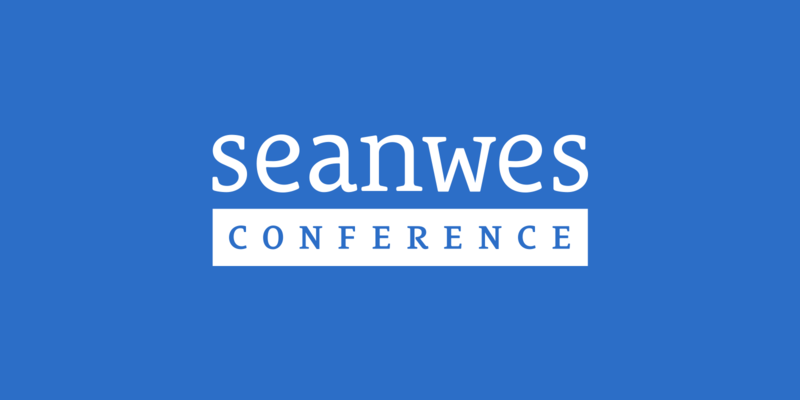 Costs for seanwes conference are well into six figures. Historically, we’ve put tens of thousands of our own dollars into the event to make it happen. This year, we will once again be pouring tens of thousands into the event to make it happen. Why? Isn’t that just poor planning? Couldn’t you change things up? Aren’t there are ways to make conferences cheaper? But that’s just not an event we’re interested in putting on. We’re not willing to cut corners or sell your attention. At seanwes, we’re committed to quality. We practice relationship marketing: that means providing value up front and not selling your attention to advertisers or sponsors. You are never the product at seanwes. When we put on a conference, you know it’s going to be an incredible experience. We we launch a book, you know it’s going to be nothing short of a timeless work of art. There are high expectations of our brand—and for good reason. We want to continue to meet those high expectations, and sometimes that means saying no to good things so we can say yes to great things. As a business, there are other things needing our focus right now. For a small company like ours, continuing to host a conference every year is not the right investment to be making at this time. When we are spinning off multiple millions and throwing an extra few hundred grand at an event is no big deal for us, that’s when we’ll do it again. There are many things we’ve been working on behind the scenes (some of them for years). We need to focus on finishing these projects. Things like CommunityTalk—the community messaging software we’ve been building for over 3 years—we have still yet to launch as a publicly-available SaaS. We need a few more years of focus on developing our core business before spinning up the conference again. seanwes conference 2017 is our last planned conference. We committed to seanwes conference 2017 back in 2016 and you can be sure we are going to host an amazing “grand finale” of an event in September! It does make us sad to announce we’re not hosting a conference next year, but we are very excited to see everyone next month at our last planned conference. If you haven’t been to seanwes conference, it’s a very intimate setting. It’s much more like a retreat with lots of down time and margin that result in deep connections with people. This is not like some surface-level conferences you’ve been to. You’ll leave seanwes conference with life-long friends. I’m proud that we’ve been able to host what I believe has been the best conference experience around. If you’re reading this in August of 2017, there are still a few days left to register to attend the last planned seanwes conference. On August 31st, registration will close permanently. We have no plans to host a conference for the next several years. I’m sure we’ll host the conference again at some point, but it will be many years into the future. As you can imagine, we are going to make a big deal of this last planned event. I truly hope you join us for this one-of-a-kind experience.